Cosmetic injectables are the safest minimally intrusive beauty tools on the market capable of diminishing facial lines and restoring volume and fullness in the face. They offer us some of the safest alternatives to surgery that can produce drastic improvements in restoring facial fullness and a more youthful appearance. 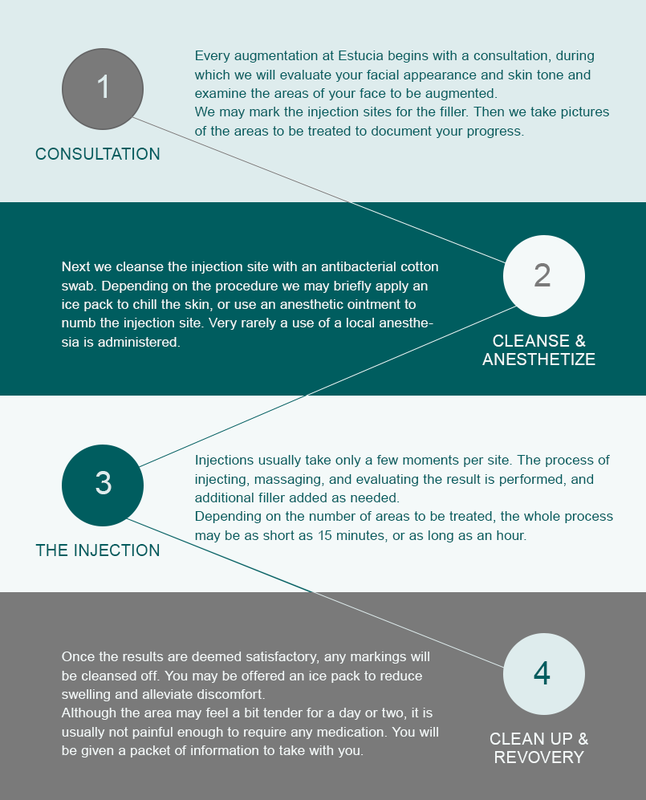 The best way to determine whether Cosmetic Injections is capable of giving you the results you desire is to view results. Botox and Dysport are the main leaders in relaxing the muscles of the forehead, 11”s between the brows and the crows feet. These are very effective neuro-toxins that lasts 3-4 months. In essence they stop the muscles from squeezing thus reducing the potential of forming wrinkles in the skin. If injected properly, they can offer a non-surgical brow lift effect offering a refreshed and more open eyed appearance. Sculptra is in a category of its own as it is NOT a filler. It is made of poly-l-lactic acid or crystallized dissolvable suture material. Over 20 years ago, researchers identified that this suture material stimulated the formation of collagen during the wound healing phase. Approximately 5 years ago, it was reformulated, and is fast becoming the key to truly defying the aging process. Instead of losing collagen over time, Sculptra stimulates the face to grow more collagen maintaining the thickness and elasticity of the skin. The effects are subtle, natural and refreshing and lasts over 2 years once the appropriate number of sessions are completed to get the full effect. Radiesse is a filler, but made from ground up calcium called calcium hydroxy appetite. It looks like elmer’s glue as it is white and thick like tooth paste. As it is made out of boney material, it is often used along the boney structures of the face such as the upper cheeks, dorsal ridge of the nose and along the jaw line. It lasts 8 to 12 months. The difference in them is their molecular structures and thicknesses. The thickness determines where it is best used in the face. Restylane, Juvederm Ultra and Boletero are the thinnest fillers and are thus used for fine lines on the face, shallow marionette lines, nasal fold, lip lines, and 11 lines between the brows. 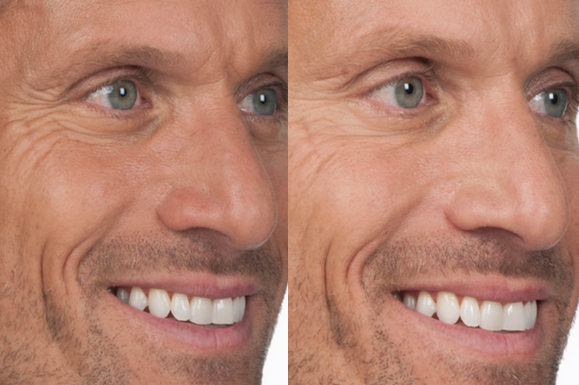 Restylane and Juvederm Ultra lasts 6-8 months while Boletero lasts for 3 months. Perlane and Juvederm Ultra Plus are thicker and are used to plump moderately deeper areas, such as lips, lip corners, marionettes, nasal folds and cheeks and lasts 8-12 months. The newest is Juvederm Voluma and is very thick gel that is best used in the upper cheek area to create that apple effect in the mid-face. Because of the thick nature it lasts 2 years. Voluma has no hylauronic gel filler competitor that lasts as long, but it is very limited in that it can only be used in the cheeks. With so many options for fillers, how do you know which is best for you? Effective and safe use of fillers and cosmetic injectables requires a physician or physician’s assistant with specialized training in the study of facial anatomy, how the body and face age, and different skin and body types. Choosing a physician or physician’s assistant to treat your face with injectable fillers ensures that your treatment will be performed by someone who not only has training in injection therapy, but in all types of non-surgical and surgical facial rejuvenation. Our expert injector, Kimberly Copeland, PA-C, has spent many years learning firsthand the distinct differences between various cosmetic injectables and dermal fillers. She has carefully mastered injection techniques for each product from Juvederm, Juvederm Silk, Restylane, and is an expert at determining which product is appropriate for each patient, and in which areas of the face or body. Every augmentation at Estucia begins with a consultation, during which we will evaluate your facial appearance and skin tone and examine the areas of your face to be augmented. Depending on the filler to be used, we may mark the injection sites. Next, we cleanse the injection site with an antibacterial cotton swab, and, depending on the procedure we may briefly apply an ice pack to chill the skin, or use an alternative anesthetic method. We prep the product into either a 27-33 gaudge fine needle or cannula. The injections themselves usually take only a few minutes per site. Some fillers need to be rubbed or massaged into the skin, while others are left alone at the injection site. Depending on the number of areas to be treated, the whole process may be as short as 15 minutes, or as long as an hour. You will be given a packet of information to take with you. All too often patients come to our offices saying “I want to look younger” or “I want a fresher, more youthful look” but are unsure of how to accomplish that goal. There are a variety of treatment options on the market, some more appropriate for specific skin types or results than others. In order to provide a custom, and individualized result, we conduct thorough consultations with each client. We provide information about the products and techniques you are interested in, and possibly even suggest some that you might not know about. Whether you concerned about wrinkles in your forehead, smile lines, sagging skin, facial bone loss, double-chin, or other facial aging concerns, Estucia of Palm Beach can help. Ask us how Juvederm or other dermal fillers or cosmetic injectables can give you smoother, fresher, more youthful skin. We also offer advanced treatments for skin tighetning, permanent hair removal, and hair loss prevention. Also available are a variety of prescription diet pills, detox supplements, weight loss solutions (such as Phentermine), appetite suppresants (such as prescription HCG), and hormone balancing options.